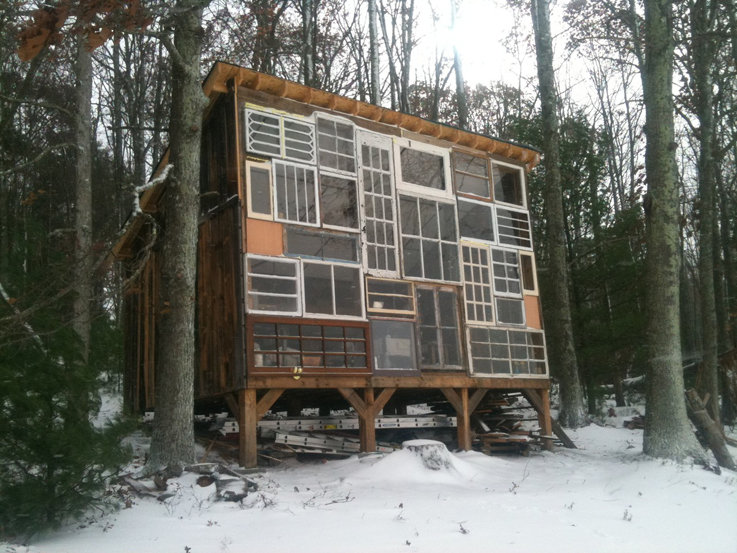 For their very first date Nick Olson took Lilah Horwitz for a walk in the mountains of West Virginia where they joked about how nice it would be to live in a house of windows so that the view would never be contained within a small space. Where most of us would file the idea away as a dream Nick and Lilah quit their jobs and went on a road trip collecting windows from yard sales and antique shops. 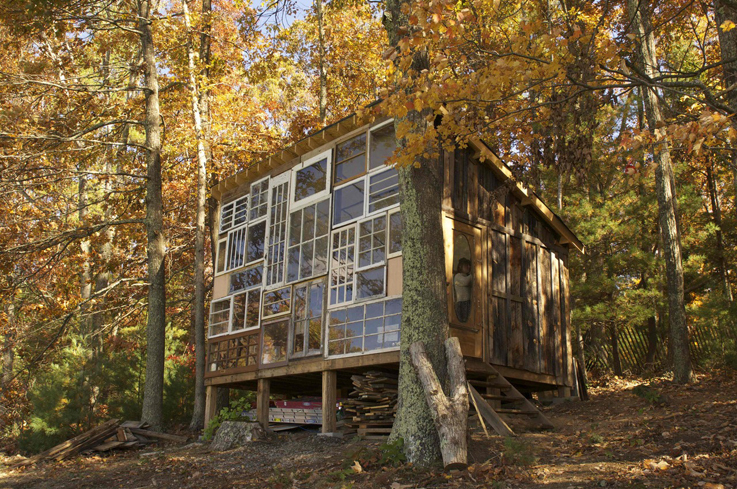 In less than a year they had built a glass cabin in the very place they’d had the idea in the first place. 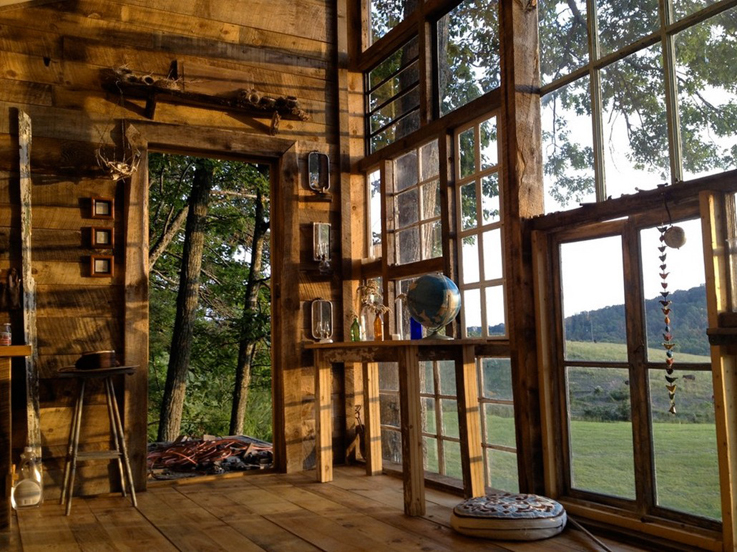 For most of us the idea of quitting our jobs and building a house in the country is more romantic than realistic. We know deep down that we would perhaps be happier with less, yet we are stuck in jobs that pay for a standard of living and level of comfort that would be hard to give up. 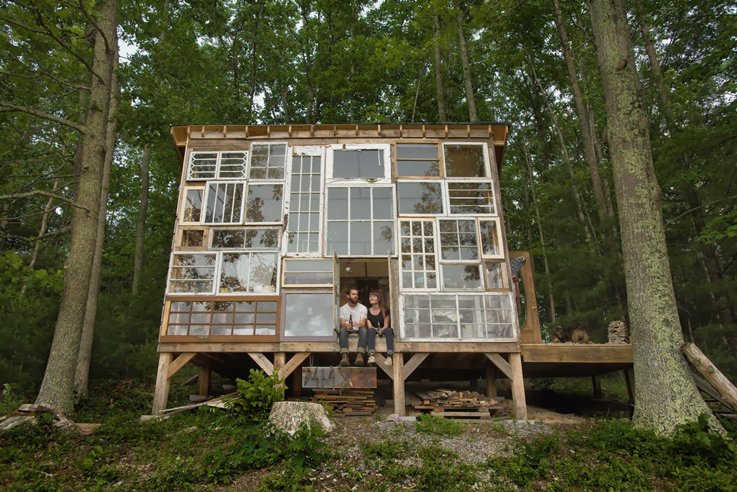 So for now we dream, and live our lives through people like Nick and Lilah. Or perhaps this short film about their journey will give you the nudge you’ve been looking for.